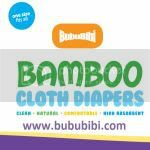 BubuBibi - www.bububibi.com - Bamboo Cloth Diapers: Something to share with all mom who works and have to take care of your little one. Something to share with all mom who works and have to take care of your little one. 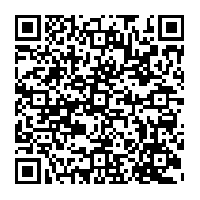 Not sure how many customers/ readers that I have communicated. I was thinking that I should share more about who am I or what I do. Some customers think that I am a stay at home mom and have this as my side business, which means I am a WAHM. Actually, no, I am not a WAHM. I work extremely hard because I have been in a situation whereby both my husband and I lost our job. I have a day job and I have to travel for work, which means, Monday to Thursdays, I am not home. I have 2 boys, my parents used to live with me when my second baby boy was born but they just left last week. So, I now have to travel with my 4.5 months old baby to work with me. My typical week starts with sleeping at 1-2am on early Monday morning because I need to ensure that all shipments are done, pack my clothes, pack clothes for my baby, ensure that my oldest son has his uniform for the week, laundry is done, etc. By 4.45am, I have to get up to get the 7.50am flight. Flying out is a little tough with a 4.5 months old baby. Going through security is a work out. Thank goodness, he is such a good baby, he has been sleeping in the plane and thank goodness, it is a short flight. Get there and immediately send him off to the daycare before I get to work. I still feel really sad that I have to leave him at the daycare, so, everyday at lunch, I drop by at the daycare and try to feed him because the people at the daycare doesn't seem to care much about feeding him. He only drinks about 7-9 oz of milk at the day care for the whole time. He was once a 90 percentile baby. By 5.40pm, I have to quickly dash to the daycare to pick him up. At 6+pm, we usually arrive at the hotel. I make sure that I feed him, shower him and then, put him to bed. I have to quickly turn on the computer to continue my work stuff as I promise my boss that I would continue work from the hotel. By 8-9pm, I have to quickly work on my business stuff. Shipping, emails, etc.... I have to personally do all these because nobody knows what to do as I know best. Thank goodness my sister can help me with shipping as she is going to college and living in my house. By the time I am done, it is 1-2+am. I then have to get up the next day at 6am to feed my baby, prepare to go to work and it's another day. It is very hard to be a mom, an employee and own a business. It is easy for others to say that I have to forgo one or just take it easy. I cannot take it easy. As all know, there is no day off from being a mom. My boss is a very hard working man himself, he calls me all the time if I am not physically in the office, he even called me at 8.30pm when I was in the hospital the 3rd night after having my baby. Customers expect almost immediate delivery and answers. I am very very sorry dear customers... it is not that I do not want to be have the best customer service out there. I wish I could but unfortunately, I do not earn enough to hire someone, I have to take on so many things. Thank you so much for all your support all these years, I really appreciate it. I just want all to know that I really thank you for giving me an opportunity to serve y'all and so very sorry that I have disappointed some if my shipment is slow or my response is slow. I just wish I have more than 24 hours a day, then I can do more and be more efficient. How to keep cloth diaper from poopy diaper stain?